1. Dan I Locks – “Warrior Steppaz” – Vocal version. 2. 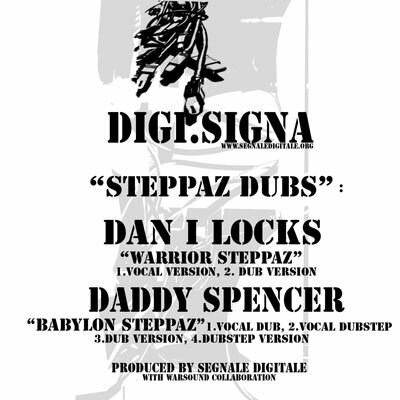 Dan I Locks – “Warrior Steppaz” – Dub version. 1. Daddy Spencer – “Babylon Steppaz” – Vocal dubstep version. 2. 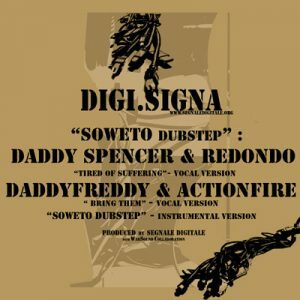 Daddy Spencer – “Babylon Steppaz” – Vocal dub version. 3. “Babylon Steppaz” – Dubstep version. 4. “Babylon Steppaz” – Dub version.